For the final day of October, Halloween, I have a special treat for you all! That would be an interview with a debut author whose cover reveal was just two days ago! 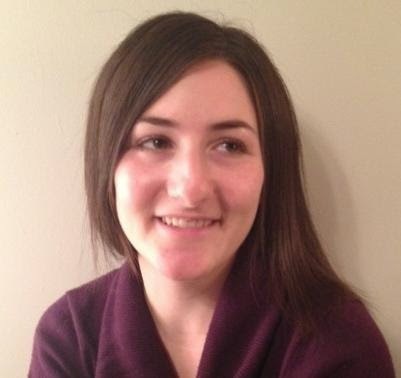 Please welcome Amanda Panitch to the blog! Peace, Love, Teen Fiction: This is your debut novel so hopefully this questions isn’t too tiring yet, can you sum up your book in up to 10 words? Amanda Panitch: Julia tries, but can't escape the repercussions of her brother's murders. PLTF: Sometimes the most frightening of all things is human nature itself, why did you decide to go contemporary when you very well could have gone paranormal? AP: I love fantasy and the paranormal, but in this book I wanted to explore evil and love in a real-world setting. I'd classify Damage Done as a psychological thriller rather than horror, but I still think it's pretty scary that the things that happen in the book could actually happen in real life. PLTF: What do you think causes people, like Julia’s brother, to do horrible things? AP: That's a question that's very much explored in the book! Sometimes it can be something that's innate, sometimes circumstances collide and push someone into doing something evil. Sometimes doing nothing can be the most horrible thing. PLTF: How do you write a convincing story when you have a narrator who may not be able to believe what it is they’re seeing? AP: When Julia starts to see faces from her past, she thinks she's going crazy. She's not sure whether or not these people are actually there, and it's that which spurs her to investigate. The book is told closely from her point of view, so she's shaping everything she sees - I hope I succeeded in making the story convincing. 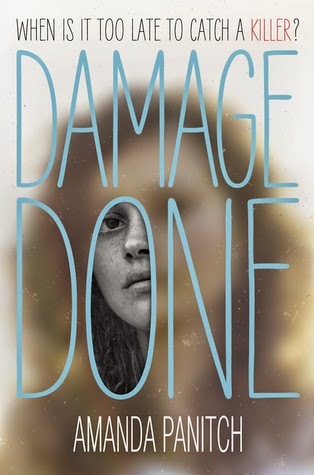 AP: Damage Done was part of a two-book deal, so next up is a second YA stand-alone psychological thriller, this one set in an amusement park. It's a much more personal book than Damage Done, since I spent two summers as a teenager working at Six Flags Great Adventure and met my first love there (though I was fortunate in that nobody went missing from the park that summer, which does happen in the book!). You'll have to tell me! To be honest, probably not. I like to think I'd save the day, but I'd probably just freeze up and cry. I always liked Nerds. And Airheads. If it's true that you are what you eat, hopefully I managed to use each one to cancel the other out. I have this pair of silver hanging skeleton earrings I love that I can really only wear on Halloween, so I look forward to it every year! 1. Keep secrets or tell everything? 2. Stay where it happened or move? Depending on the event, I'd probably want to pull a Julia and move. 3. Experience it firsthand or deal with the aftermath? Depends on what happened. Poor Julia had to do both. 4. Search for the truth or leave it be? After: She has a new identity, a new hometown, and a memory of those twenty-two minutes that refuses to come into focus. At least, that’s what she tells the police.